Protect yourself from smoke and chemicals during home improvement projects or use as a barrier for cold and flu. Whether you're traveling via air, train, bus, or cruise. Readimask is flexible to meet your traveling needs. Proven effective against smoke particles. Firemen prefer Readimask for it's custom-formed superior fit and comfort. ReadiMasks are the best protective masks available today for a variety of uses, including military, law enforcement, corrections, emergency response, industry, construction, and healthcare. ReadiMasks are a must-have for every household. 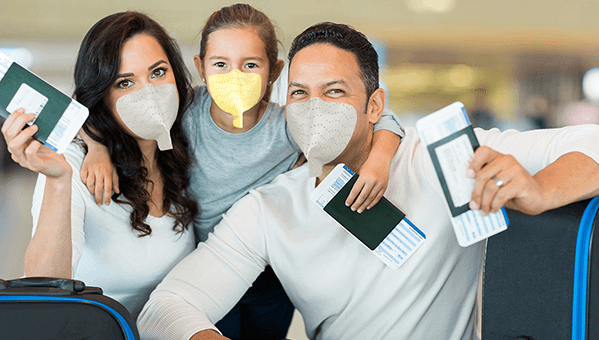 They're ideal for all kinds of travel with your family, perfect for protecting your children from everyday danger and pollution, and handy in any home renovation project. ReadiMask is proud to be a ‘tested and recommended’ product from the National Tactical Officers Association. 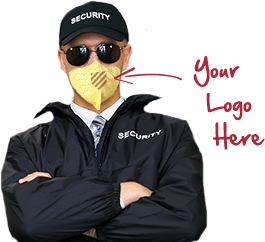 In August 2015, Global Safety First, LLC (GSF) acquired ReadiMask. GSF secures a purchase agreement with Grainger to supply a sizable order for a Federal Penitentiary in Texas. ReadiMask demonstrations were conducted at the Mock Prison Riot in West Virginia. Introduce ReadiMask in your community. 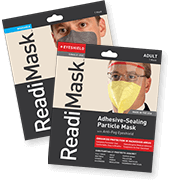 If you are interested in becoming a ReadiMask distributor, please contact us.